. :: Sebastian Getaways | Spacious 3 Bed/2 Bath, Very Private Screened/Solar Heated Pool - Mins to Beach::. During your stay, you can relax in our fully furnished spacious 3 bedroom/2 bath open split floor plan home. With the master being on opposite sides from the other two bedrooms there is plenty of room to spread out with privacy. We also keep an extra full-sized air-mattress in the closet so the house can ultimately accommodate up to 9. The kitchen is fully equipped for those that enjoy cooking and includes a dishwasher, microwave, crock pot, toaster, blender and coffee maker. The bedrooms are equipped with all your bedding needs and bathrooms with towels, wash clothes and hair dryers. Home has a large capacity washer, dryer, iron and ironing board. Living room has a new sofa and loveseat. Also included is DirecTV, wireless high-speed internet and weekly pool & garden services. While staying you can relax around the very private solar heated pool on the large furnished screened in lanai or check out the Riverwalk area which has several restaurants/bars and only 4 miles from the home. Several locations along the river such as the Sand Bar @ Captain Hirams and The Tiki Bar & Grill offer live music daily. 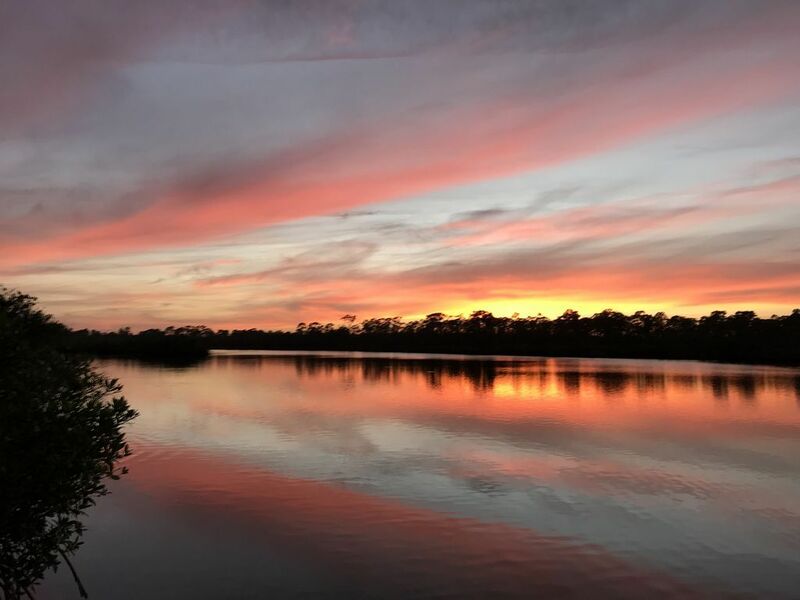 Sebastian offers many other options for your enjoyment as well; it offers 3 local beautiful golf courses, public boat ramps to set sail on the Indian River, boat/wave runner rentals, fishing charters, skydiving, and kayaking. The areas also known for excellent fishing along the world famous Sebastian Inlet, Pelican Island Wildlife Refuge & Park, Riverboat Ecological Tours and its Beautiful Beaches which are all only minutes away. You can’t go wrong with Sebastian as it is a quite smaller town with lots to offer and less traffic and stress than other areas in Florida. 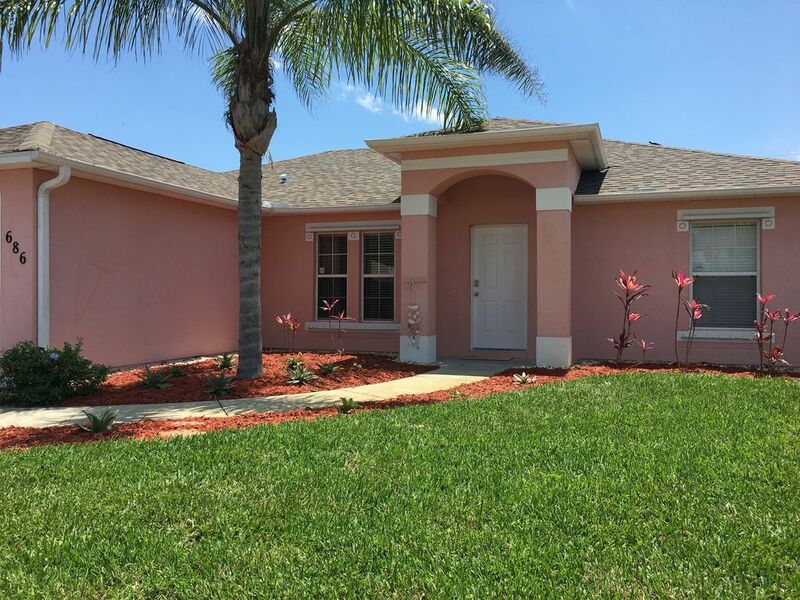 The neighborhood is very quiet and has quick access to 95 so while staying you can hop over to Vero Beach or Melbourne for shopping, restaurants and additional entertainment or visit Wabasso Beach which are all within 15 miles. Also, don’t forget that Disney, Epcot, MGM, Animal Kingdom and Kennedy Space Center are all a short trip as well!! !